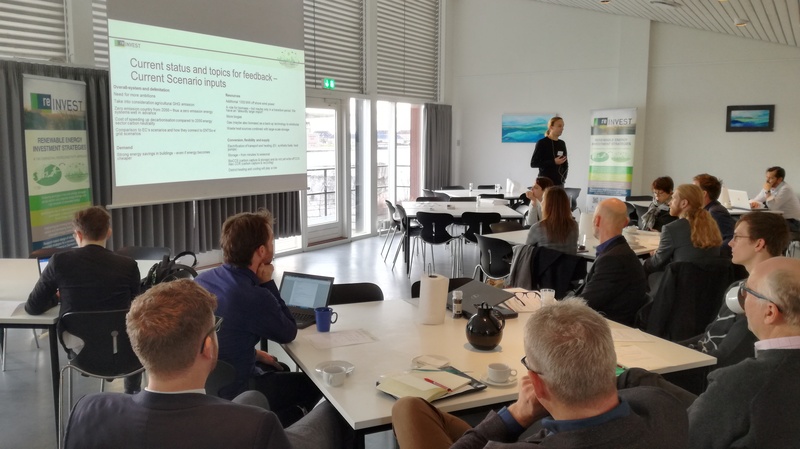 On Monday 29 October 2018, RE-INVEST held a Consortium Seminar at the Danish Energy Agency in central Copenhagen. For the first time Project Partners and Advisory Board members convened together at a session, where they shared their thoughts and expectations for the future energy scenarios. An interesting exchange of different perspectives around the overall common goal, the re-thinking and re-designing of the energy systems. One of the characteristic messages from this seminar is that RE-INVEST shall and will have ambitious targets in its strategies than the current danish and EU policies regarding Carbon dioxide emissions and renewable energy integration. Further information about the programme can be viewed here. Poul Alberg Østergaard, RE-INVEST Deputy Head, providing a status update to the participants.